UPDATE!! Congratulations to Jim Alexander of Clear Creek Ranch, NV on his purchase of KLP Elegido! It has been said to have a great gelding, you geld a great stallion. One of our life long dreams has been to have a top quality luxury gelding, one that has the presence & elegance of a stallion, a strikingly beautiful horse that will turn heads in any crowd, and one of exceptional pisos to carry you all day, be it on the trail or in the show ring. KLP Elegido is "the" Luxury Gelding of Phenom Farms. Bred from a line of champions, BOTH of his parents are US National Laureado Performance Horses. 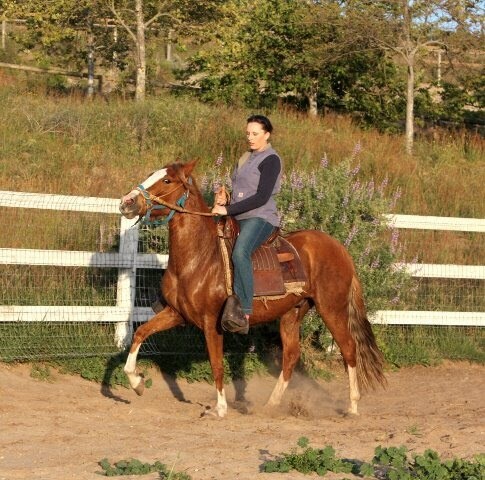 Elegido had several months of professional halter training & is doing well in his under saddle bozal training.